LOS ANGELES - For the first time since the Milwaukee Brewers began their incredible late-season surge, their bats went cold enough to lose. 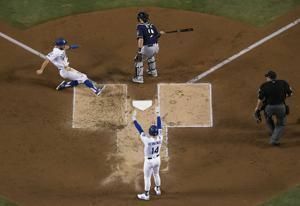 In the bottom of the 13th, the Los Angles Dodgers scored to break a 1-1 tie and even the series with the Milwaukee Brewers at 2-2. 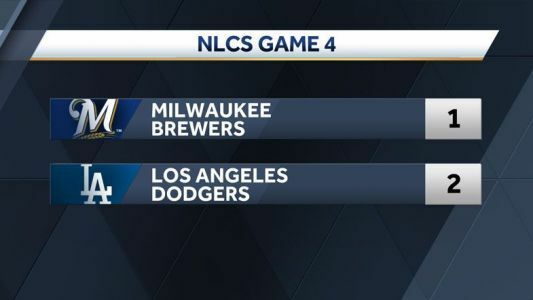 LOS ANGELES - The Milwaukee Brewers and Los Angeles Dodgers are tied 1-1 after nine innings in Game 4 of the NL Championship Series.